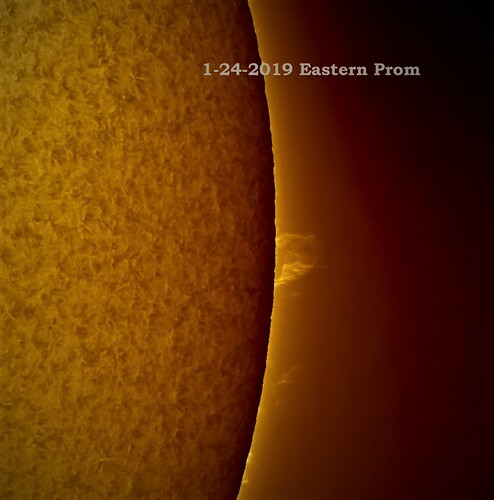 Thread: The sun is really quiet but here's one from today. Jerry Sykes, helicon64, kingclinton and 7 others like this. Re: The sun is really quiet but here's one from today. 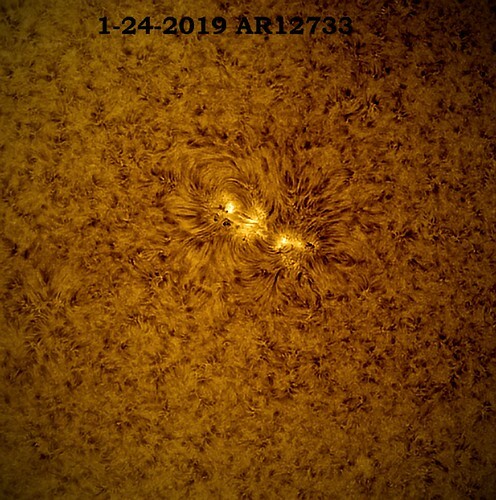 And here's the current active region. j.gardavsky, Jerry Sykes, helicon64 and 6 others like this. Nice proms Gordon. I can't believe it - two straight sunny days in a row in my area. I'm trying to soak up the sun and am waiting eagerly for our February warming trend. Very nice, Gordon. I like them both! Excellent and nicely focused detail on the AR image. Very nice Gordon! I like both images!